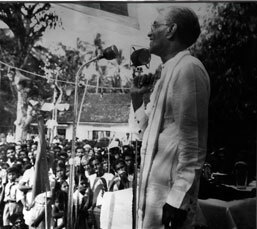 Premier Bandaranaike continually explored pathways whereby he could enrich and strengthen the political freedom Ceylon had received through Britain’s grant of Independence in 1948. He was not prepared to allow the act of conferment of political independence to remain a mere empty theoretical concept. In all the policy initiatives he took after his assumption of the Premiership of the State in 1956, this thread of progressive forward movement was clearly manifest. The major policy reforms he initiated in his period of leadership had profound and positive consequences for the political, economic and social contours of the new nation he was creating. Let us look at the highlights of the following critical aspects of People's welfare that he focused on.